The half to odd rule states that a number with a fractional half will be rounded to the closest odd integer. 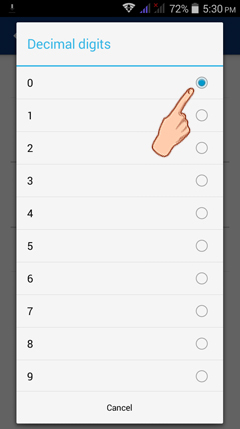 2.5 and 3.5 are rounded to 3, 5.5 is rounded to 5, and 8.5 is rounded to 9. This rule only applies to fractional halves. 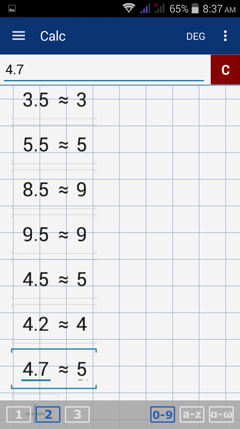 Numbers with a fractional half higher than 0.5 are still rounded to the next highest integer and those with a fractional half lower than 0.5 are still rounded to the next lowest integer. 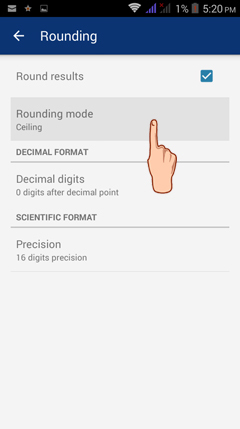 For example, 4.5 is rounded to 5 but 4.2 is rounded to 4 and 4.7 is rounded to 5. 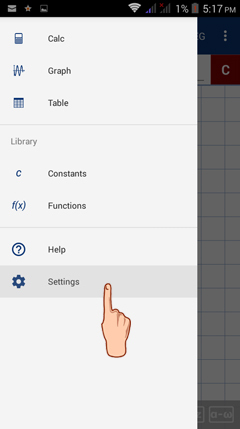 1) Tap the menu button and select Settings. 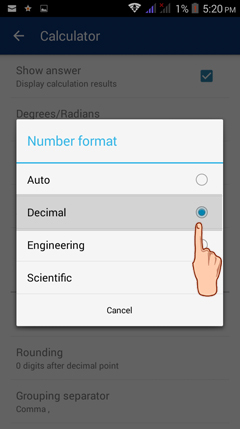 4) Set the number format to Decimal​. 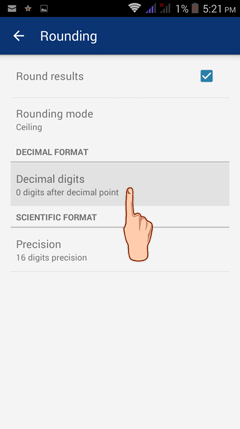 6) Set the rounding decimal digits by going to Decimal digits​. 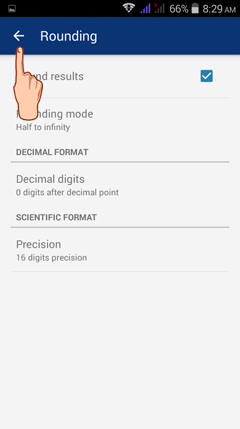 7) Set the decimal digits to 0. 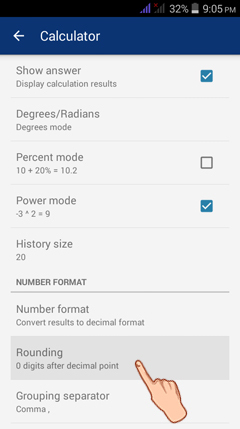 9) Set the rounding mode to Half to odd​. 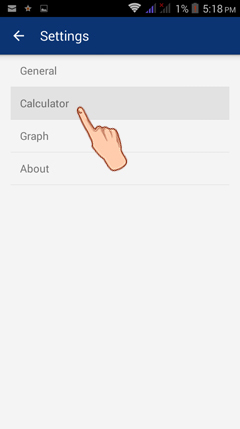 Go back to the calculator window by pressing back in the top left. 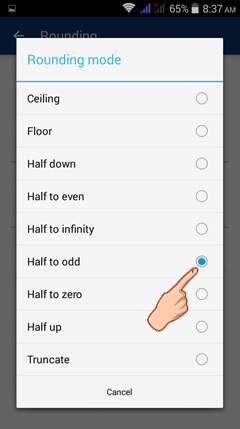 Find the integer part of each of the following using half to odd rounding. 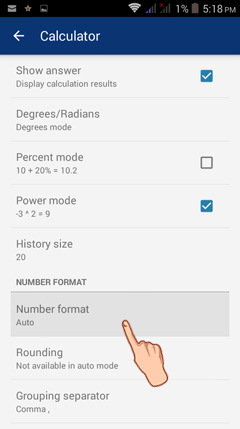 Make sure rounding is set to half to odd​.